What does your emoji say about you? One of the demos at the GPU Technology Conference in San Jose, California this week is a deep learning-based real-time face detection and emotion recognition system. Using an off-the-shelf camera, and dual NVIDIA TITAN V GPUs, the deep learning system developed by NVIDIA engineers captures and analyzes dozens of faces and emotions at the same time. The system then displays people’s emotions using emojis. The demo can recognize eight different emotions: neutral, happiness, surprise, sadness, anger, disgust, fear, and contempt. 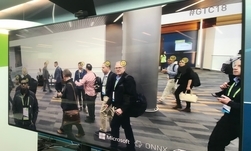 The demo is based on a facial recognition system developed by researchers in China, and an emotion recognition system developed by Microsoft researchers. 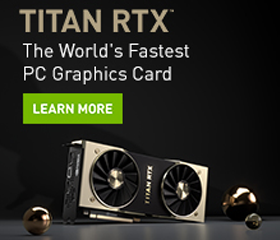 The NVIDIA team then combined the two systems to create the interactive GTC demo. The facial recognition system, S^3FD, was trained using the cuDNN-accelerated Caffe deep learning framework and the facial expression system, FER+, was trained with the cuDNN version of CNTK. Once trained, the models are exported to ONNX and running with TensorRT in FP16 mode.